The Department of Homeland Security (DHS) announced May 11 an expanded list of science, technology, engineering and math (STEM) designated-degree programs that qualify eligible graduates on student visas for an optional practical training (OPT) extension. The department said the action builds on a series of administrative reforms designed to increase the department’s commitment to attracting international students. By expanding the list of designated STEM degree programs to include such fields as pharmaceutical sciences, econometrics and quantitative economics, the department said it is helping to bring the best, most qualified international students to the United States. 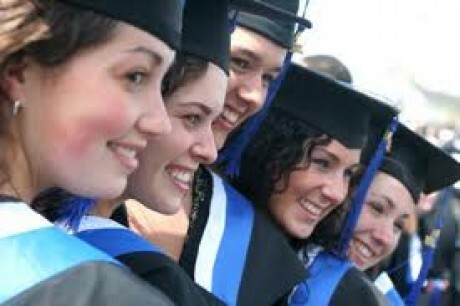 These reforms, the department said, reflect the Obama administration’s commitment to promote policies that embrace talented students from other countries, who come to study in U.S. colleges and universities and enrich the nation by allowing highly skilled foreign graduates to extend their post-graduate training in the United States and work in their field of study upon graduation. A full list of expanded STEM degrees is available on the DHS website. Earlier this year, DHS announced several measures the department will implement to streamline existing pathways for immigrant entrepreneurs to create businesses in the U.S., retain more foreign-born science and technology graduates from U.S. universities, facilitate immigration by top researchers, and help U.S. startups and other companies compete for global talent. More information on DHS programs for study in the United States is available on the department website. ← Is Cricket Coming Back to Olympics?